We are very excited to announce our kick off to 2016 in the United States! We’re headed to Wisconsin! We will be headed to both Ray’s MTB & 4 Seasons on Saturday, March 12th, 2016. The session will start at 11am. Are you planning on joining our session? Fill out the Join The Tour Form & let us know! 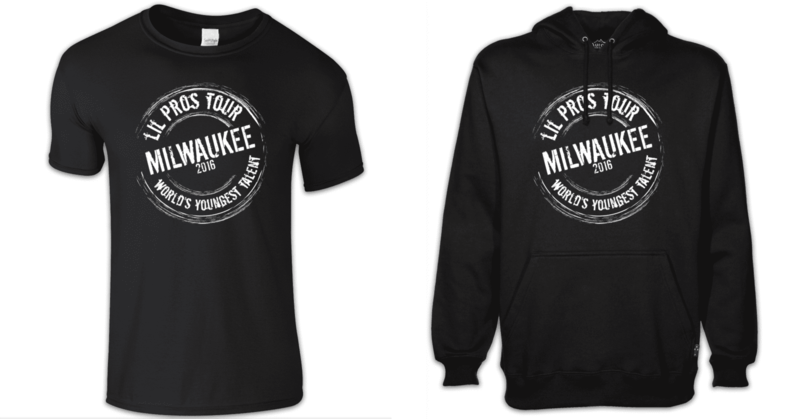 You can also reserve your brand new Special Limited Edition Lil Pros MKE T-Shirt & Hoodie! Available in both youth and adult sizes, must reserve by March 1st to be included in the order which will be delivered to Ray’s at the start of the session:) You can reserve your shirt on the Join The Tour Form. We greatly appreciate any support to help keep the tour alive!